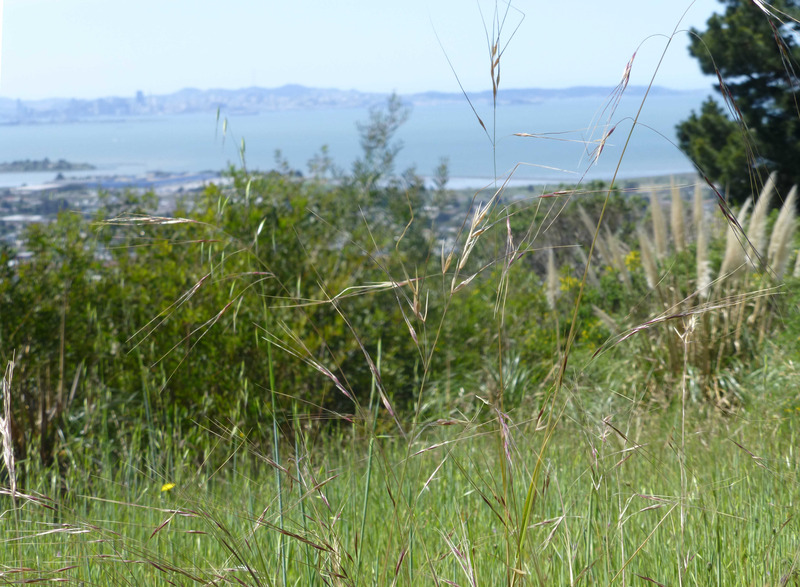 El Cerrito’s Hillside Natural Area is a rare open space gem amid our crowded East Bay communities. With 90 acres of oak forest and grasslands cut by hillside creeks, the natural area is much loved by hikers, mountain bikers, dog walkers, nature lovers, and bird watchers seeking sweeping views of the bay and refuge from the busy-ness of urban life. But for all its beauty, the Hillside Natural Area is a place divided, split into northern and southern portions by roads and development. Between the two portions, there is only one undeveloped piece of land where that division can be healed and the natural area made whole. For years, residents have used the parcel as informal open space linking the two natural areas, despite its being privately owned. Now the City of El Cerrito has a plan to purchase the Madera Hillside property and unite the Hillside Natural Area forever. Some public money is available, but private funds are also needed. 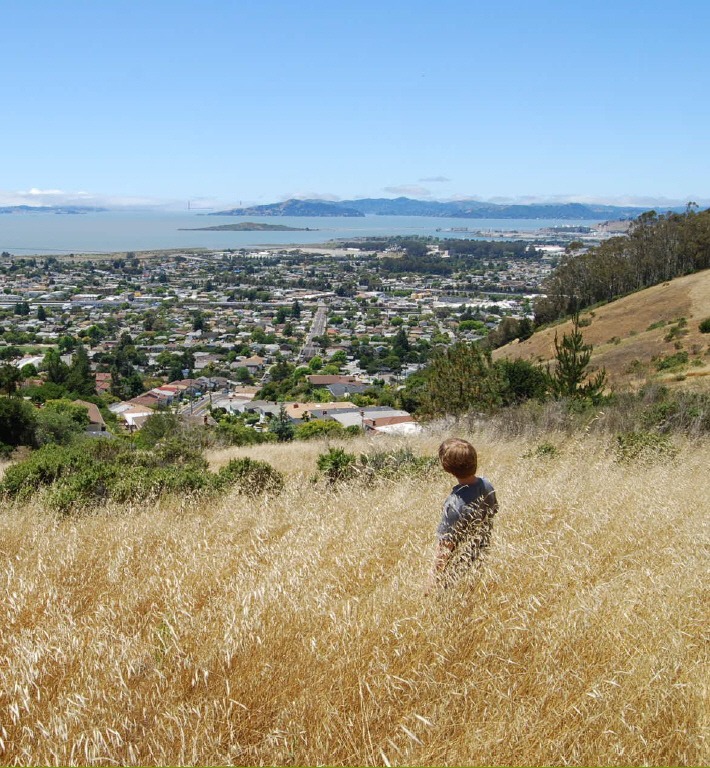 Please donate to the El Cerrito Open Space Campaign and help us create an unbroken 90-acre natural open space in the El Cerrito hills. A perennial bunch grass producing tufts of erect, unbranched stems up to 3.3 feet tall. The extensive root system can reach 20 feet deep into the soil, making the grass more tolerant of drought. 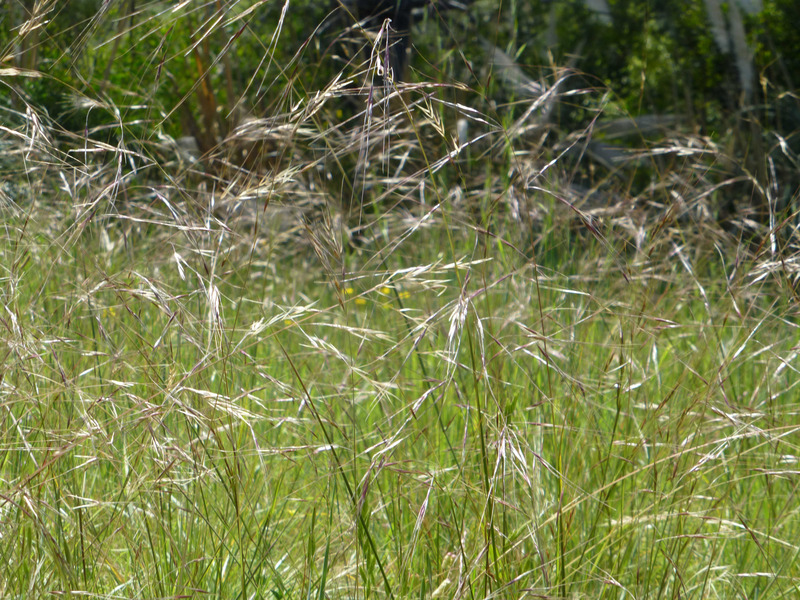 The open, nodding inflorescence is up to 60 centimeters long and has many branches bearing spikelets. The plant produces copious seed, up to 227 pounds per acre in dense stands. The pointed fruit is purple-tinged when young and has an awn up to 10 centimeters long which is twisted and bent twice. The shape of the seed helps it self-bury. 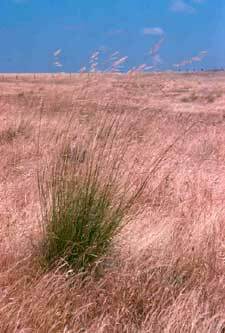 Purple needlegrass (Nassella pulchra) was designated the official state grass of California in 2004. A widespread, native perennial bunchgrass that can live for 150 years, purple needlegrass ranges from the Oregon border into northern Baja California. 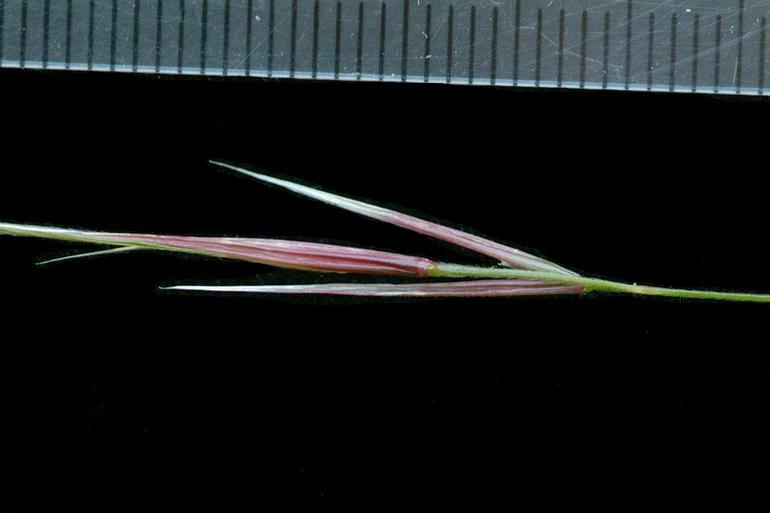 Tolerant of summer drought and heat once established, the seeds of purple needlegrass were one of several grass species used by California Native Americans as a food source. Today purple needlegrass is used for habitat restoration, erosion and levee control (and continues to provide forage for California’s cattle and wildlife). 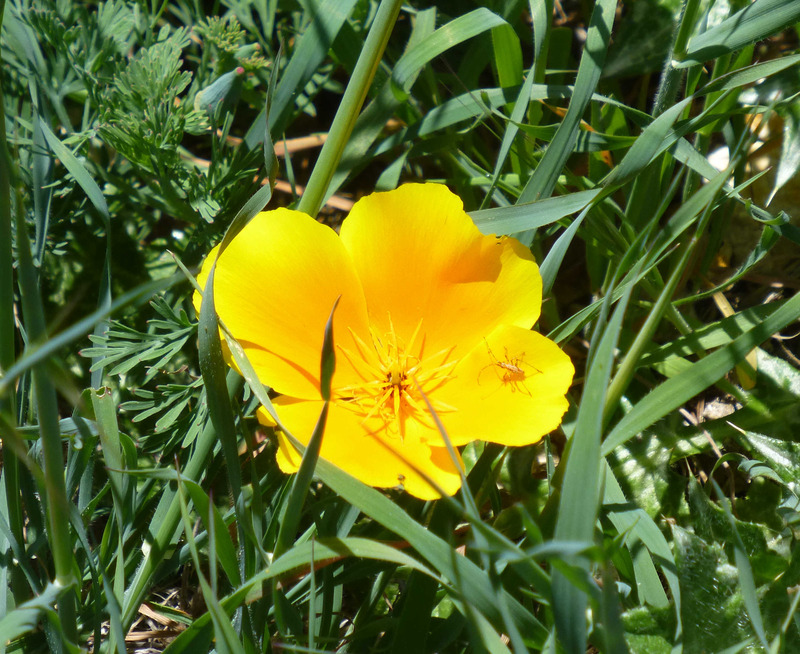 Poppies endemic to the East Bay Hills have a darker center, while introduced varieties are more mono-colored. In favorable conditions the plant can develop into a small tree over 6 meters tall. More commonly it is a shrub between 1 and 2 meters tall. 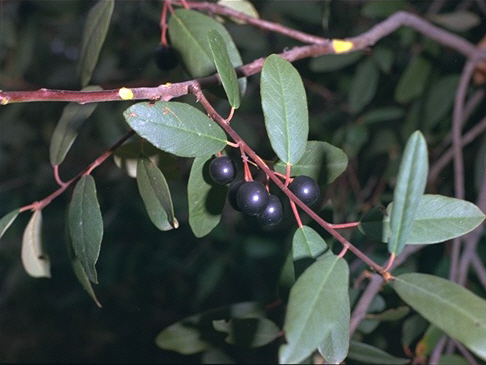 The branches may have a reddish tinge and the new twigs are often red in color. The alternately arranged evergreen leaves are dark green above and paler on the undersides. 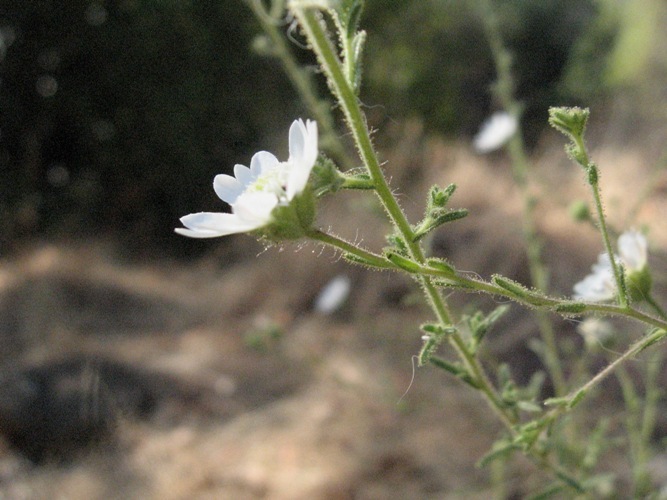 The leaves have thin blades in moist habitat, and smaller, thicker blades in dry areas. The small greenish flowers occur in clusters in the leaf axils. The fruit is a juicy drupe which may be green, red, or black. It is just under a centimeter long and contains two seeds that resemble coffee beans. This plant can live an estimated 100 to 200 years. 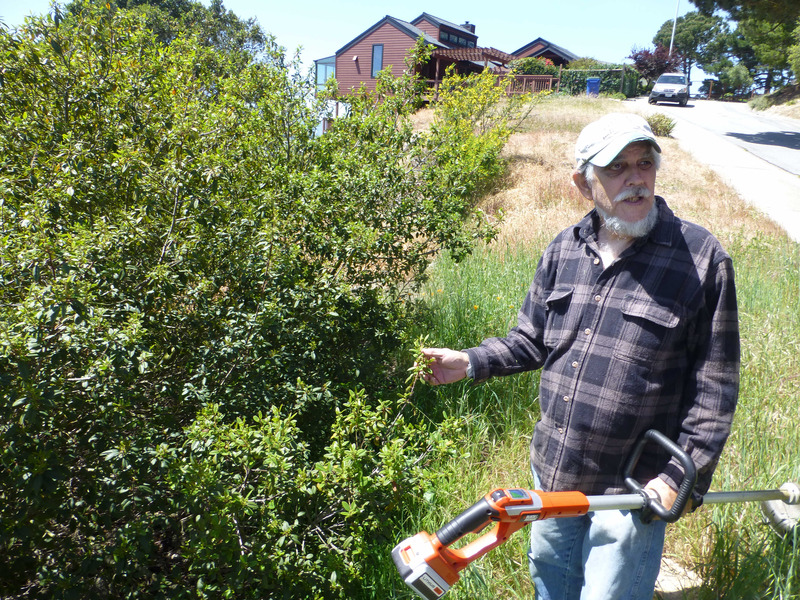 Jim McKissock shows off one of the largest coffeeberry plants in the El Cerrito hills. 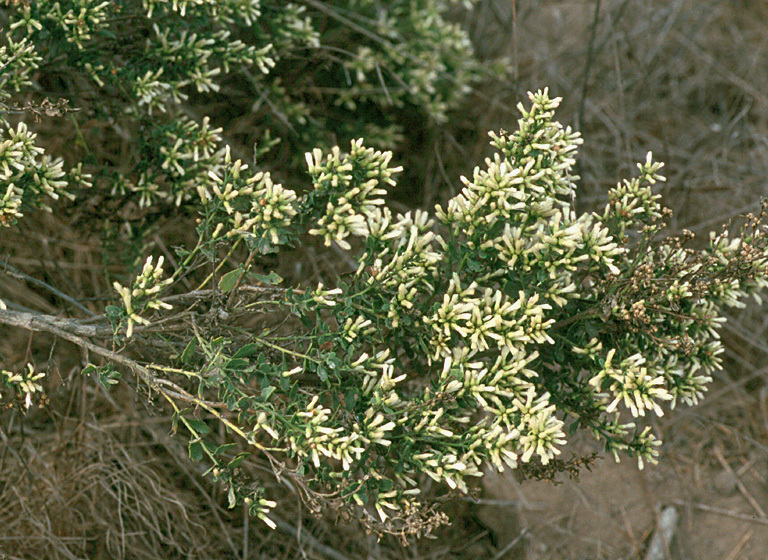 Coyote brush is known as a secondary pioneer plant in communities such as coastal sage scrub and chaparral. It does not regenerate under a closed shrub canopy because seedling growth is poor in the shade. Coast live oak, California bay, Rhus integrifolia, and other shade producing species replace coastal sage scrub and other coyote bush-dominated areas, particularly when there hasn’t been a wildfire or heavy grazing. 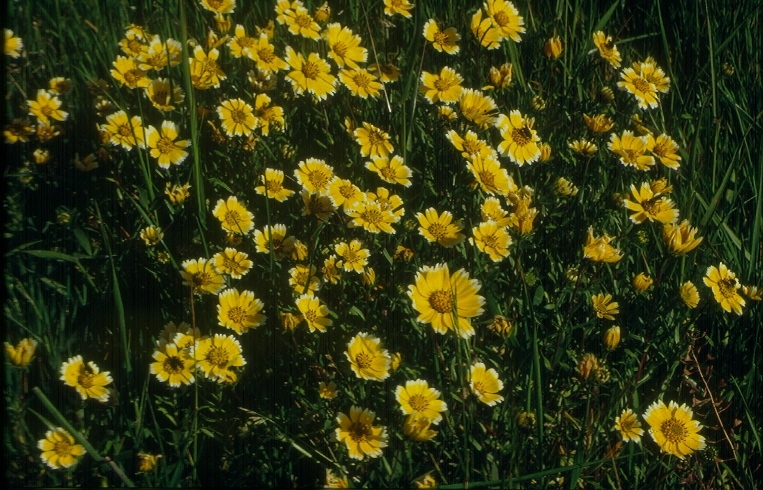 In California grasslands, it comes in late and invades and increases in the absence of fire or grazing. Coyote bush invasion of grasslands is important because it helps the establishment of other coastal sage species. Baccharis pilularis is cultivated as an ornamental plant, and used frequently in drought tolerant, native plant, and wildlife gardens; and in natural landscaping and habitat restoration projects. The cultivar ground cover selections have various qualities of height and spread, leaf colors, and textures. The upright forms are useful for hedges and fence lines, and year round foliage. Coyote brush is usually deer-resistant. The plants are also drought tolerant after maturity, requiring watering once a week until established, and then about once per month during the first summer. They can mature in one to two years. The plants prefer good drainage. Only male plants of Baccharis pilularis are cultivated for landscaping use. If these are substituted for Baccharis pilularis subsp. consanguinea in ecological restoration, there will not be as much seed set, nor recruitment of new individuals. This entry was posted in El Cerrito. Bookmark the permalink.